I think you may agree that not every mortgage process runs smoothly. You need a mortgage lender who can help you navigate these treacherous waters. Rob Dessommes is here to help you! Whether you're a first time home buyer or have owned your home for 50+ years, you may ask yourself, "Who is the best mortgage lender near me?" Look no further. Rob Dessommes is a Senior Mortgage Loan Officer in the Dallas, Texas location, at PrimeLending, a PlainsCapital Company. As a Texas mortgage loan officer, Rob has arranged more than 3,300 mortgage loans since 1993. Since 1986, PrimeLending, a PlainsCapital Company has provided a superior mortgage origination experience. We are owned by the largest privately held bank in Texas, PlainsCapital Bank, with over 6 billion in assets. PrimeLending has grown from a staff of 20 to more than 2,800 professionals producing more than $13 billion annually. Rob is a top mortgage loan officer at PrimeLending nationwide and that equates to trust and dependability you can rely on. Rob is known as the mortgage loan officer that gets the challenging home loans done. Rob's REALTOR®s tell him that he works wonders when it comes to getting loan approvals. Rob has worked with all types of difficult mortgage circumstances and credit challenged individuals. Rob works at the Corporate office location in North Dallas on Preston & Frankford in top producing branch office in the country. 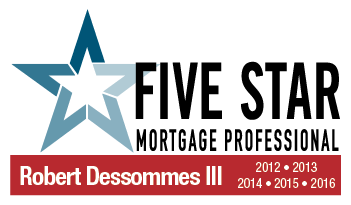 From 2009 to present, Rob was recognized as one of the leading loan officers in Dallas Fort Worth by D Magazine. 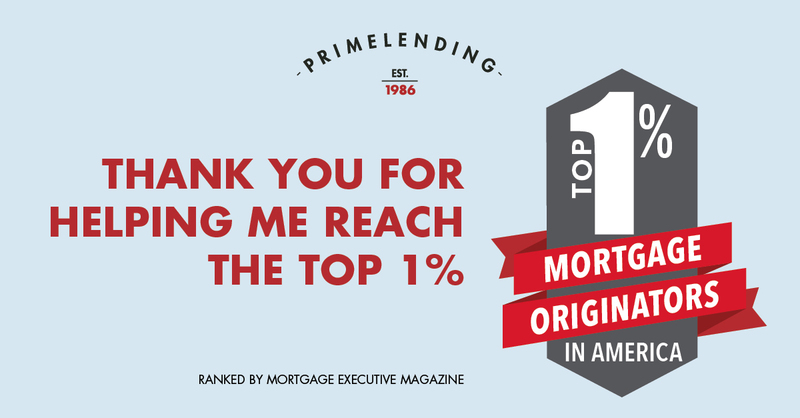 PrimeLending is ranked 6th on the Top 100 Mortgage Companies in America by Mortgage Executive Magazine. PrimeLending is a nationwide lender - lending in all 50 states. Please feel free to contact me or my Team Loan Originator, Stephen Kremer NMLS#176586 at 972-407-7925 his direct line anytime. A prequalification is not an approval of credit, and does not signify that underwriting requirements have been met. PrimeLending is not affiliated with the above mentioned companies. PRIMELENDING, A PLAINSCAPITAL COMPANY® and HOME LOANS MADE SIMPLE SM are trademarks, service marks, or registered trademarks or service marks of PrimeLending, a Plains Capital Company. You may not use, display or reproduce them without the prior written consent of PrimeLending. Further, you may not remove, obscure, or otherwise modify any copyright, trademark, confidentiality or other proprietary rights notices displayed on, embedded in, or otherwise appearing in any Content offered by, viewed on, or received through this site. All other trademarks identified and contained herein are the property of their respective owners and their use herein does not imply sponsorship or endorsement of their products or services.